What's that saying... "no good deed goes unpunished." Heather will be in court tomorrow over an injured dog surrendered to the Daisy Foundation. Patti has just had an anniversary. She recently marked one year at the Brant County SPCA in Ontario -- what's that? About seven years in a dog's life? The cause of death, neglect and pet over population. One woman was turned away from vet care for financial reasons, then charged with neglect by the city. 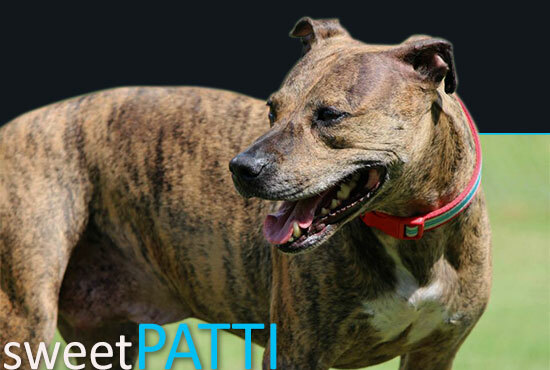 "Patti is around 8 years old, very affectionate and LOVES her toys. She came into our care on July 5th after someone abandoned her, tied to a tree with a short leash and a prong collar so tight it was digging into her skin every time she moved." Saying that Anderson didn’t pose a significant enough threat to be locked up, the judge ordered him to serve a conditional jail sentence in the community. One animal welfare supporter stepped up and wrote a letter to the judge! negligent pet owner in Alberta! 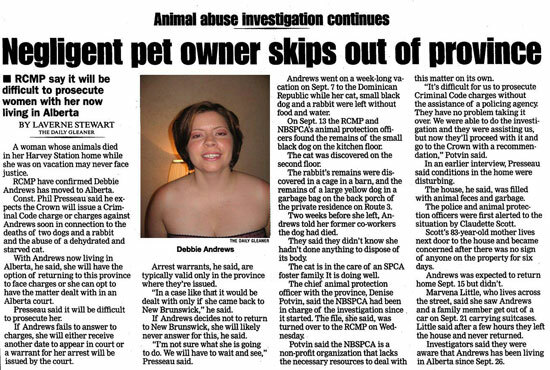 Debbie Andrews' animals died in her Harvey Station, NB home while she was on vacation. She has since fled the province. 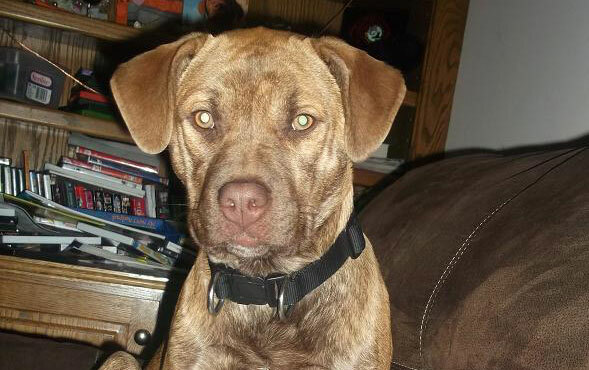 The manager of the Oromocto SPCA wants to see a Canada-wide arrest warrant issued for her. Meet Indika! 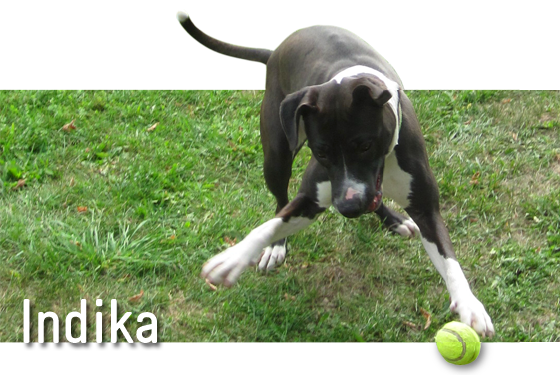 Another victim of Ontario's BSL, Indika needs to find a new home outside the province. She is about 8 months old and is a very well-mannered girl! UPDATE: She has a new home! Shark fin is served in over 30 restaurants and other establishments that we are aware of right here in Calgary! Many restaurants not advertising shark fin on their menus, will often make it available for special order for banquets and other events. 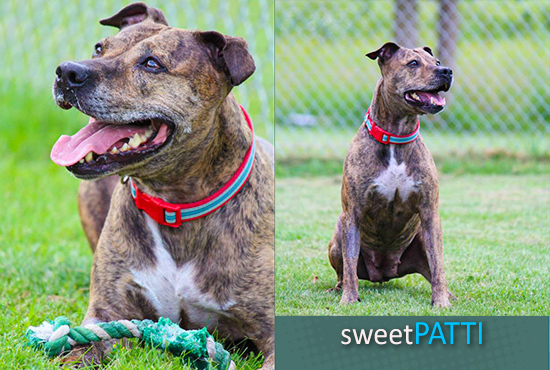 She is a 7-month-old brown brindle pit bull. She has more light hairs on her belly. She has stunning coppery brown eyes. She is a slender 18” tall lightweight. She has a slight lumpy mark on the left side of her neck from the surgery. She’s active and loves her family, is timid with strangers but not vicious. It took a while to find the right home, but it was love at first sight when dog and new owner finally met! Our little man, Duke, has a new home! We are so excited! Our MANY THANKS to everyone who came out in support of Pekoe! The proceeds from this event will certainly help with her medical expenses! Make a donation for PEKOE! Last I knew, there was to be a town hall meeting in Mirror between residents and officials to discuss the poisoning deaths of 13 dogs and what was going to be done about it. But the last I heard, the meeting never happened. A list of reasons an animal might be destroyed in a kill shelter. Or is it a list of excuses for the purpose of either easing someone’s guilt about needlessly taking a life or granting them a pardon for their laziness? Personally, I fail this test myself. What happens when the very professionals you entrust with the care of your companion fail? 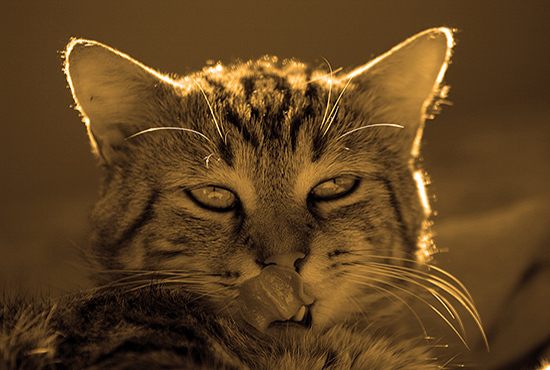 When, by their own admission, their neglect to do their duty appropriately and responsibly results in your pet's death? At trial in Cochrane, a slap on the wrist was handed down by the judge in this case. The stakes were a maximum fine of $100,000 and/or two years in jail plus the loss of his hunting license. But the judge fined John McWilliams $300. There is growing resistance against the capture, confinement, and use of wild elephants. 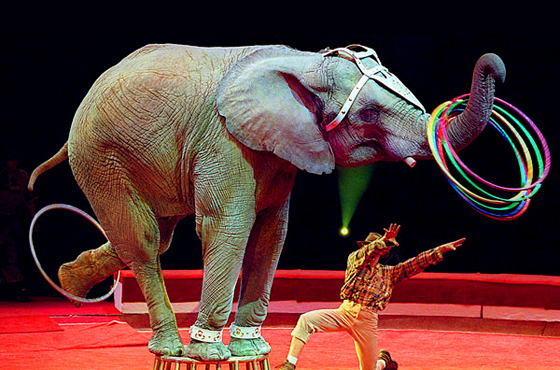 Animal rights advocates allege elephants in zoos and circuses "suffer a life of chronic physical ailments, social deprivation, emotional starvation, and premature death". Zoos argue that standards for treatment of elephants are extremely high. It is the mission of the DAISY Foundation to speak for the animals who cannot speak for themselves. 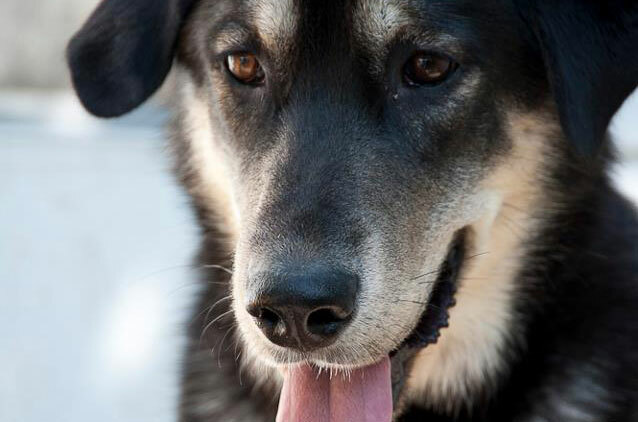 By supporting and promoting House Bill C-229, DAISY Foundation is legislating for stronger anti-cruelty laws and stiffer sentences for those convicted of cruelty. 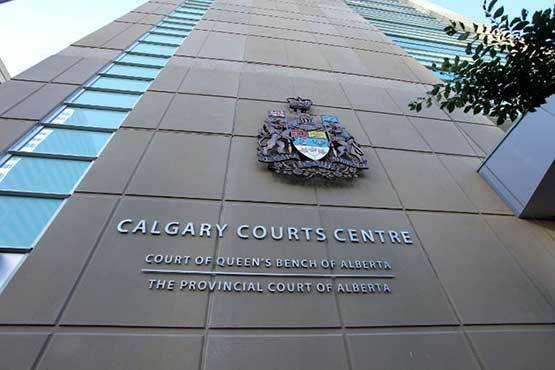 To show our support for these stiffer sentences, volunteers of the DAISY Foundation regularly attend animal abuse/cruelty cases in the courthouses in Calgary and Didsbury to bring awareness. Historically, Canada has been lax in sentencing people for some of the most atrocious crimes against animals despite the link we know exists between animal abuse and violence against people. DAISY Foundation offers financial assistance to people who need help getting their pet spayed or neutered through an affordable pay-back plan. This assistance is based on need and covers other medical situations as well. DAISY Foundation operates on public donations and fundraising activities. As such, the assistance we can offer is limited to our funds. We want to help people keep their pets, so we offer spay/neuter and vet assistance to the public. The level of our assistance is determined on a case-by-case basis. It is our request that you honor our assistance by making payments back to DAISY Foundation for expenses incurred. DAISY Foundation believes in educating school age children about the importance of respecting animals. We teach them that animals are living, breathing creatures who feel pain and sadness just as we do. We also explain the requirements and commitment involved in caring for an animal. Most importantly, we teach that there is no excuse for abuse. DAISY Foundation can offer presentations to your groups or classes on the responsibility and proper care for companion animals. We believe it is important for our youth to learn this lesson early on. Contact us for more info.